Note this is focusing on changing the email address associated with an existing Apple ID, it is not the same as changing the Apple ID on a device itself, which would mean using a completely different Apple ID. 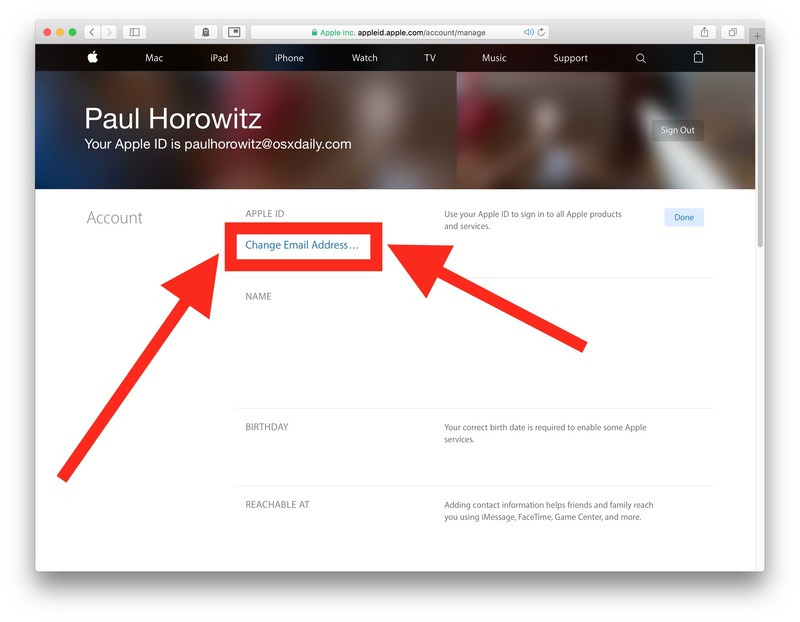 Instead, the same Apple ID is used but the email address is changed, for example if you change your email address permanently than this could be useful. If you aren’t sure what any of this means, don’t mess with any of the Apple ID settings. 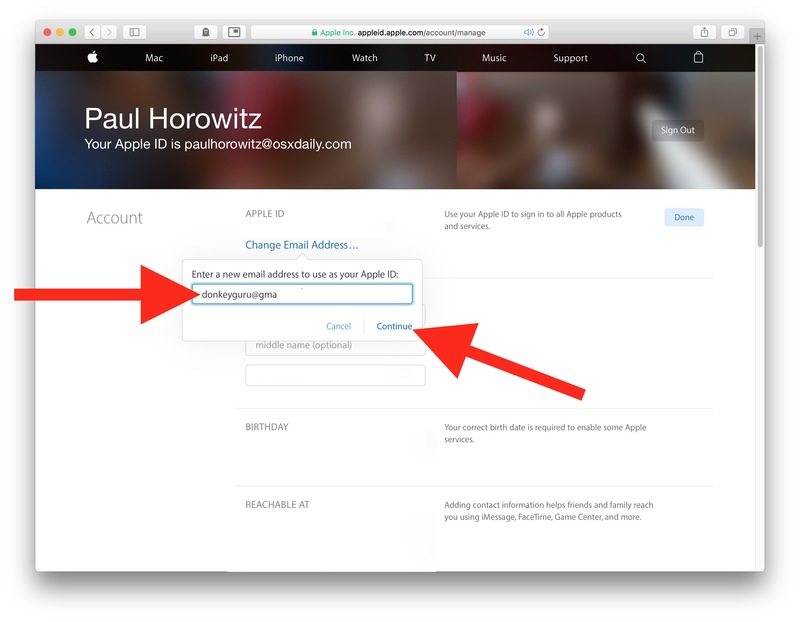 Similarly, if you have no reason to change the Apple ID email address, then don’t change it. 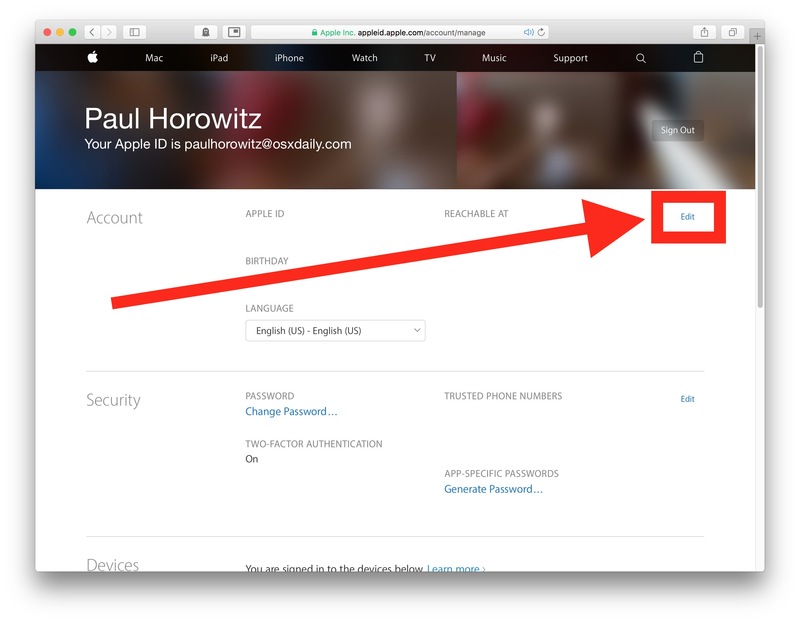 * If you have it setup to use Apple ID 2-factor authentication you will need to verify a code before being able to login to the Apple ID website.